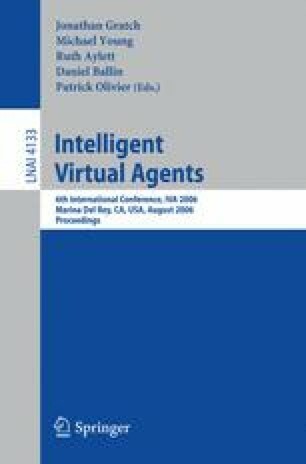 In this paper is studied how the imitation of the structures and the processes of memory can possibly makes cognition arise in a computational model. More precisely, the combination of a perceptron and an associative memory leads to build a scalable behavioral controller expected to reveal intelligent behaviors. This approach differs from traditional behavioral animation hybrid architectures , in which the agent knowledge is a collection of modeller-defined symbolic objects or frames  and its behavior a set of scripts or automatons . To our concern, this prevents the agent from adaptiveness in dynamic environments.